The Indonesian Navy (TNI-AL) has shortlisted two anti-ship cruise missiles-Brahmos and C-802A- for arming its six LF-105 light patrol frigates that are to be ordred later this year. 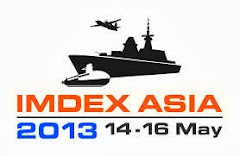 The TNI-AL has also shortlisted two types of 100mm main guns of Chinese and Russian origin for three frigates. By the middle of this year, Indonesia is expected to ink a contract with a consurtiom of two German companies-Lurssenwerft and Atlas Elektronik-for procuring six LF-105s. Lurssen, which along with Indonesia’s state owned Surabaya-based shipbuilder PT. PAL, has so far built eight Nav-1/2/5-class large patrol craft, is offering to build the first LF-105 in Germany, followed by PT PAL fabricating the remaining five frigates under licence. Each such vessel will have length of 105 metres, breadth of 14 metres, speed of 30 knots, range of 6,000nm, crew complement of 119, and a displacement of 2,500 tonnes. 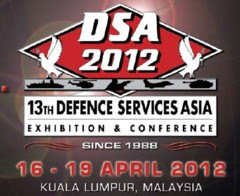 The weapons suite will include either a 100mm or 76mm main gun, Kentron of South Africa’s UMKHONTO vertically launched short range air defence missile or MBDA’s VL-MICA air defence missiles, up to eight anti ship cruise missiles, two triple-torpedo tube launchers for MU 90 or A-244 torpedoes, a 35mm gun for close-in defence, and a Terma-built SKWS offboard decoy dispenser suite. The combat management system will be the ARGOS from Atlas Elektronik, while other on-board sensors will include an integrated VIGILE/Scorpion 2 ESM/EW suite, one TRS-3D/16-ES three-dimensional air/surface search radar from EADS, one marine integrated machinery control system will be SAM Elektronik’s Geamar 100/Geamot. Raytheon/Anschutz will provide the MINS-2 inertial navigation system, while Rohde & Schwarz will supply the integrated communications system. The stern-mounted helicopter deck will be able to accommodate two 5tonne multi-role helicopters. Lurssenwerft has navigation radar, two TMX/EO Mk2 (X- and Ka-band) optronic fire-control directors, Mk12 IFF, one long-range search radar (probably THALES Nederland’s MW-08), and one ACTAS towed-array sonar and one ASO-94 hull-mounted panoramic sonar. The CODAD propulsion system will comprise four MTU 20V 8000 M-90 diesel engines driving Renk-Tacke reduction gearboxes. 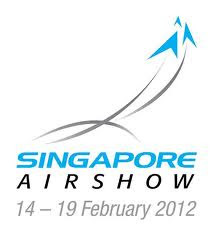 The already appointed a consortium of European banks to arrange a syndicated loan for financing this contract. The first frigate will be delivered within 44 months of contract signature, with the remaining five rolling out of PT PAL in 10-month intervals. While the supersonic 300km-range Brahmos, already in service with the Indian Navy, is clearly superior to the subsonic 120km-range C-802 in terms of performance and kill probability, it is surprising why the China National Precision Machinery Import-Export Corp (CPMIEC) has not yet offered its more advanced anti-ship cruise missile-the YJ/62/C-602-for the Indonesian requirement. The C-602, on the other hand, has already been approved for export by China, and will be equipping the four F-22P guided-missile frigates that are now being built by the China State Shipbuilding & Trading Corp (CSTC) for the Pakistan Navy. The subsonic 300km-range C-602 has been christened as the “Babur” by Pakistan. 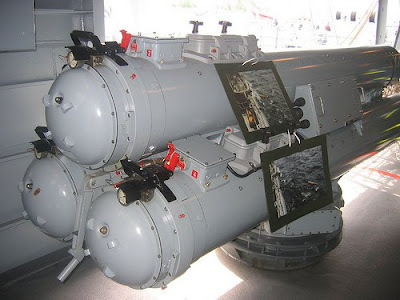 On board the LF-105, the chosen anti-ship cruise missile will be housed in inclined launchers mounted amidship. 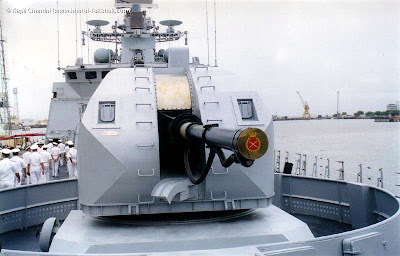 For the 100mm naval gun requirement, Russia’s ARSENAL is offering its stealthy turret-mounted system, which currently equips the three Project 1135.6 guided-missile frigates of the Indian Navy. 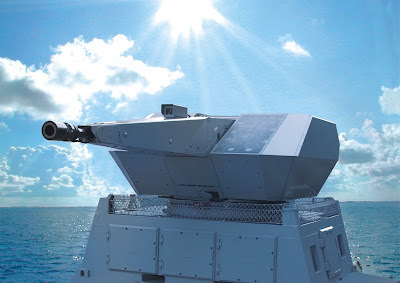 NORINCO of China’s 100mm gun bearing a close resemblance to the Creusot Loire-designed 100mm gun, has been in series production for the past three years and currently no less than four principal surface combatans of the PLA Navy.